The government entity tasked with promoting productivity and employment growth in South Africa has launched Productivity Month 2017. During Productivity Month, October, the importance of productivity in enhancing economic growth is brought to the fore through a series of productivity workshops, awards and seminars. The highlight of Productivity Month is the National Productivity Awards. The rationale behind Productivity Month is to showcase, share ideas, methods and perspectives on how companies can improve productivity whilst recognizing top-performers. The run up towards the National Productivity Awards has been preceded by the Regional Productivity Awards which were held in the provinces. The broader objectives of productivity month are: To promote productivity within South African industry To raise awareness about the potential role of productivity in growing and developing the economy To promote Productivity SA programmes and its outcome based solutions in place to assist ailing companies To increase South Africa ‘s competitiveness The National Productivity Awards function for 2017 will be held as follows: Date: 20 October 2017 Time: 18:30 for 19:00 Venue: Hall 3, Gallagher Convention Centre, 19 Richards Drive, Midrand The Minister of Labour, Mildred Oliphant will be the Keynote speaker on the night. The awards are adjudged out of four categories, the Emerging, Corporate, Public and Cooperative Sector. The criteria employed to adjudge finalists includes the impact of productivity on the bottom line of profit-making enterprises and the impact relative to costs for non-profit-making entities. 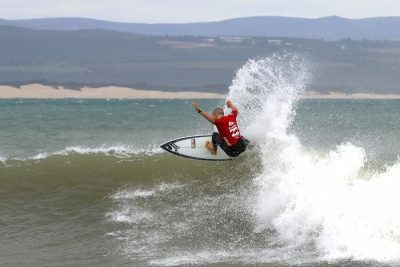 CLICK HERE to submit your press release to MyPR.co.za. . . .
An increase in swell at JBay was just what was required on a busy second day at the Billabong SA Junior Champs presented by BOS where surfers in eight different divisions produced exciting performances as they challenged for national titles and team points. The Under 18 boys were the first in the line-up today and Joshe Faulkner (Nelson Mandela Bay) kicked off things in spectacular fashion by winning his heat with a total of 16.16 out of 20 that included a couple of scores in the excellent range. Luke Malherbe (Buffalo City) was on fire on his backhand, finding a couple of the day’s biggest waves and producing a near-perfect nine point ride. That was matched by Kody Oberholzer (eThekweni) who used his entire repertoire of forehand manoeuvres on the long J-Bay walls. Surprise of the round was dark-horse Samuel Loppknow representing host district Nelson Mandela Bay who used all his local wave knowledge to pull off an impressive win over highly rated Calvin Goor from the Ilembe district team making their debut at the SA Junior Champs Kai Woolf (Nelson Mandela Bay), who is chasing the U16 girls title after winning the U15’s last year, was determined to steal the boy’s thunder and absolutely dominated her heat with a pair of high nine point rides that rewarded her vertical backhand attack. S'nenhlanhla Makhubu (eThekweni), who has just returned from competing in the ISA World Junior Champs in Japan, also delivered a classy performance on her backhand. Last year’s SA Champ U17 girls champion Kirsty McGillivray (Nelson Mandela Bay) kept her campaign for back-to-back titles rolling in the U18 girls by producing a heat total in the high teens, carving her way to a 9.6 and backing it up with an 8.5 "The waves were really fun,” enthused the J-Bay local. “I picked up a great set wave that just gave me so much space to do turns." By midday the onshore wind was freshening but J-Bay’s perfect geography ensured running waves for the surfers in the cutthroat 15 . . .
NEPIC continues to bite off chunks of ISP market share in partnership with Interface Digital. [Johannesburg, Tuesday 03 October 2017] – Internet Service Provider, NEPIC, credits much of its rapid growth to the impact of its paid search marketing strategy. Fairly new to the South African telecoms landscape, NEPIC needed a digital marketing solutions partner that understood its budgetary challenges and the competitive landscape in which it operates. Specifically, NEPIC needed an agency with Google Premier Partner certification to help create and execute a strategy that demanded performance against aggressive growth targets. “We set Interface Digital (IFD) a fairly tough challenge,” says Christoff Becker, NEPIC Marketing & Creative Officer. 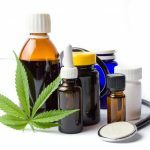 “We had to penetrate a market digitally dominated by our competitors at a fraction of their campaign spend. Success in such an environment requires proven and specialised skills in paid search campaign optimisation . . . in IFD we found a willing and able partner.” “The NEPIC campaign presented unique challenges due to the ISP competitor landscape,” says Siobhan Boyd, Senior Account Manager at Interface Digital. “As Google Premier partners we have access to certain tools, technologies and methodologies that help us understand what actions are likely to yield the greatest results – certainly in NEPIC’s case we were successful in this regard.” Through Google Search and Display (and implementation of a well-crafted and risk mitigated strategy) – IFD was able to: Over-deliver on lead targets by 190% Attain competitor brand terms at the same cost as internal brands Catapult the brand’s digital market share, essentially forcing competitors to either increase their spend or relinquish a percentage share of voice on Google. The reduction in campaign cost per click essentially allowed IFD to significantly stretch the available budget. The resulting impact on NEPIC’s business has been substantial, both in volume of new business signed and overall “deal value” per client. “We’ve seen a sharp . . .
Are you a budding entrepreneur in the tech / ICT space, and interested in impact? Do you want to learn about how to get your business off the ground and even build a working prototype? Simanye and Impact Hub Joburg are excited to launch our Impact Inspired programme in partnership with UCT’s Bertha Centre. The Impact Inspired programme is targeted at growing and supporting high-potential social enterprises at every stage of growth. Our theme for this round is tech based social enterprises. The incubation round is currently open, with the top selected enterprises receiving the following: Impact Hub’s 4 month Launchpad incubation programme for busy people – requiring only one weekend a month for 4 months of your time Practical learning on key business themes and success drivers, and learning about the Design Thinking approach The chance to build your own prototype with expert facilitators guiding you along the way Mentorship from highly experienced and knowledgeable mentors Access to finance during and after the programme A 3 day membership at Impact Hub for 6 months – where you can interact with other impact entrepreneurs and access our extensive networks for growing your business (as well as enjoy our wifi and free coffee) A chance to think about and help solve some of the key challenges facing South Africa through business! Although based in Johannesburg, we will accept applications from across South Africa. How to apply Incubation: If you are an early stage (idea or start-up) social enterprise in the ICT / tech sector with an innovative idea that you wish to take to the next level, then please read more about and apply to Impact Hub Joburg’s Impact Launchpad programme by downloading the form here. 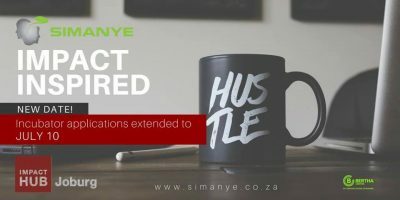 (http://www.simanye.co.za/Mobile/wp-content/uploads/2017/05/2017-Launchpad-Application-Form.pdf ) The applications for the Launchpad incubator applications have been extended and close on JULY 10th, 2017 at 5PM. (if you have . . .
6 May 2017 was international Free Comic Book Day where, all over the world comic books are handed out to visitors of local events. Sandton comic book store, Central City Comics decided to use this day to help visitors embrace their inner superheroes and raise funds for the Sandton SPCA. Global Access heard the call and joined in to help spread information and knowledge around the SPCA on the day using their interactive technology, Sensanetik. Global Access helped set up the stand for the Sandton SPCA with grass, bowls for the pets on the day to have access to water, tables and chairs as well as a custom SPCA Sensanetik display. 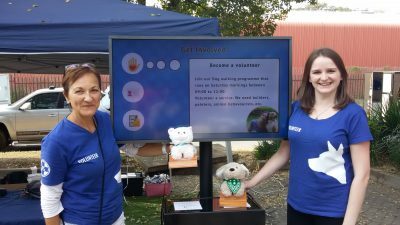 This experiential digital signage solution allowed people the chance to pick up and hold a toy version of the animals the SPCA helps. With the content on the screen changing every time the cat or dog was lifted, visitors throughout the day learned more about how they could help the SPCA. “Technology can connect us if used correctly. It was a privilege to use our experience, skills and solutions to create a digital display solution for the SPCA that was memorable, interactive and above all built a connection between visitors and the SPCA.“ Says Ivano Stipcevich, Head of Digital Signage Networks at Global Access. The SPCA is run purely off donations and receives no money from the Government and it is days’ like this and companies like those involved at the CC Heroes day that make all the difference. The Sandton SPCA from the combined efforts of the comic book store, Global Access and all the visitors and exhibitors on the day managed to gather donations of food, money and blankets to the value of R 10 000. “There is a superhero in all of us, we just need the courage to put on the cape.” – Superman Global Access is an innovative digital media and content solutions provider. CLICK HERE to submit your press release to MyPR.co.za. . . .
Oh what a luxurious night! One that many South African fashion followers have been waiting for forever. 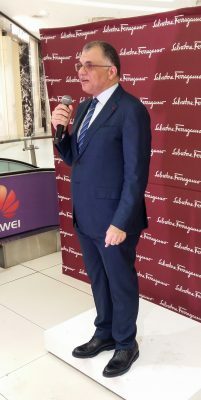 Luxury brand, Ferragamo, celebrated the opening of its renovated flagship store in South Africa, located at Sandton City last night. It was a lavish ceremony that was opened by AbuIssa Holding’s CEO Mr. Fawaz Idrissi from Doha. The renovated store mirrors the modern structural and architectural aesthetics that the Italian luxury brand has currently injected into its DNA. The elements used in the store’s renovation reflect the new creative direction the brand has been reinforcing as of late. Ferragamo’ s current footwear director, Paul Andrew, mirrored that sentiment in an interview earlier this year, saying: “This is not about a reinvention, but about reintroducing the brand to a new generation of women, while not alienating or forgetting the existing client, The way we are going about it is based on Salvatore’s original mindset, which was all about creativity and innovation. All the ingredients were there, so we wanted to rework these elements in a totally new way. That innovation has been lost in the past 40 years.” The store originally opened in 2000 originally, is the brand’s largest South African location. The renovated space now has a footprint of 203m². The newly renovated space features the full lifestyle brand experience of men’s and ladies products, across the full collection of shoes, accessories, RTW, accessories, watches & perfumes. Ferragamo is considered by many in the industry to represent old school luxury but that’s changing fast, as the brand has been injecting new life into it’s DNA by appointing a new creative team to carry the brand into its next phase. The shoes, bags, accessories and scarves for both men and women are absolutely gorgeous. They even have a kiddies selection with the cutest pumps, boots and bags that you will not be able to resist. Definitely worth a visit when you are in Sandton City again. CLICK HERE . . . The 20th Annual BASA Awards, partnered by Hollard & Business Day, are now open for entries from business and arts partnerships that were activated between 1 January 2016 and 31 December 2016. The award categories are intended to showcase the diverse ways that business partners with arts projects, events and initiatives to bring the arts to the public in different parts of the country. “Our annual awards are always a highlight of the arts calendar – providing a reason to celebrate excellence in business and arts partnerships over the year,” says Andre Le Roux, BASA chairman. In 2017, South Africa’s foremost awards celebrating business and arts partnerships are part of a broader commemoration of Business and Arts South Africa’s 20th anniversary. As it marks this landmark event, BASA has an invigorated focus on Growth, Research, Connectivity and Celebration – all of which serve to confirm the organisation’s standing in as a leading force in business and arts on the African continent. In 2017, the 20th Annual BASA Awards, partnered by Hollard & Business Day, will also be used to honour those who have contributed to the growth and success of BASA over the past two decades. This includes awards partners Hollard and Business Day, both of whom are founding business members of BASA. 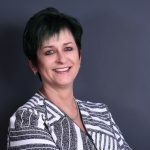 “We are very proud to have been associated with BASA from the very beginning,” says Heidi Brauer, Chief Marketing Officer at Hollard. “Long-term, mutually beneficial partnerships which enable better futures are a part of Hollard’s DNA and our relationship with BASA has definitely grown the impact the Arts can and do have as a force for positive and enduring change in South Africa.” Eleven categories are open for entry, including the Cultural Tourism Award, proudly supported by Nedbank. This important award recognises business support of arts and culture projects which contribute towards the growth of communities and jobs, and support the opportunities provided by local . . .